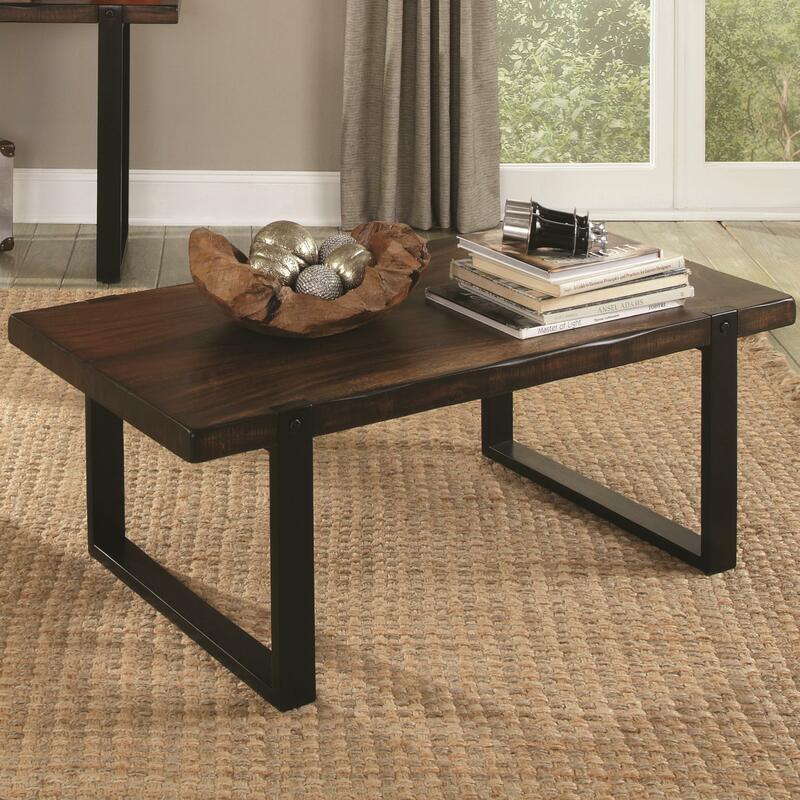 Simple lines and a two tone finish give this coffee table a rustic contemporary look. The Vintage Brown and Black finish creates an authentically aged appearance, while the simple base exudes modern simplicity. A perfect balance between rustic and contemporary, this coffee table makes for a warm accent in your home. 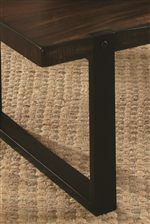 The 70342 Coffee Table with Rustic Look by Coaster from Nashco Furniture - Nashville. We proudly serve the Nashville, Franklin, Brentwood, Clarksville, Green Hills, Davidson County, Williamson County, Tennessee area. Product availability may vary. Contact us for the most current availability on this product. With simple silhouettes and a warm two tone finish, this group of occasional tables puts a contemporary twist on rustic style. Tables feature inset legs in a Black finish that emanates a metal base, while the wood tops are finished in a warm Vintage Brown color for an authentically aged rustic feel. Sophisticated, yet relaxed, this group offers a fresh take on casual contemporary style. The 70342 collection is a great option if you are looking for Casual furniture in the Nashville, Franklin, Brentwood, Clarksville, Green Hills, Davidson County, Williamson County, Tennessee area. Browse other items in the 70342 collection from Nashco Furniture - Nashville in the Nashville, Franklin, Brentwood, Clarksville, Green Hills, Davidson County, Williamson County, Tennessee area.